Widely recognised as one of the best function bands in Scotland, The Elaine Stewart Band recently opened the biggest forces festival in the country, The Big H "Call of Music" performing with some of the industries best names. 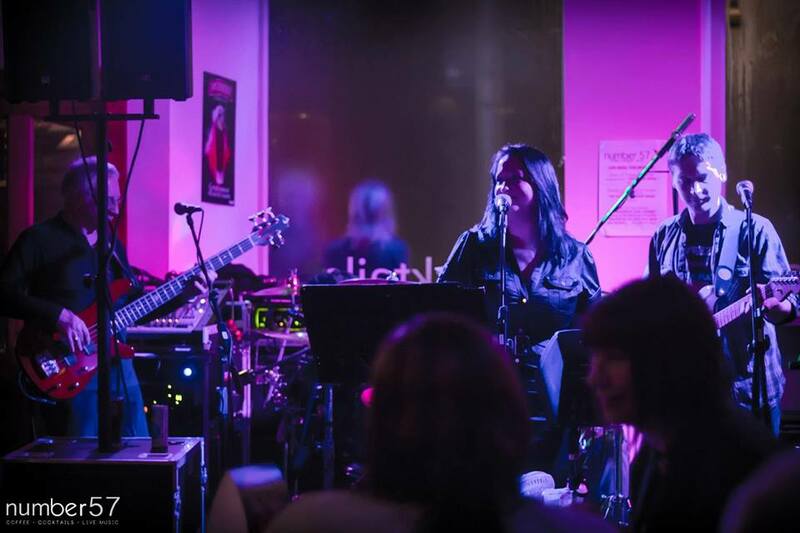 With all band members having vast experience within the music industry and many years with various groups they are one of the most the most sought after bands North of the border. Elaine is a professional vocalist, starting her career at the age of 8 in a harmonious Church Choir! She has for many years worked with a variety of bands with various genre. Enjoying the gigging scene in London and South East England,with bands Shot "T" Funk, Ironik and Bliss. Steve has been playing the drums since the age of 15, supporting many famous bands and being a member of such bands as Four in a Bush and the infamous Dundee band Mafia for a decade. A professional musician as well as the joker of the band, he keeps the tempo flowing. "Clum" is an amazing bass player and has been playing close to 50 years ( that's half a century!!). He picked up the strings again to be part of the amazing ESB and along with his son, Chris, makes some amazing tunes that come alive on the dance floor. If Guitars could make your knees shake then this man could make them buckle with his glorious "riffs", every note dances along his strings. and as well as playing the keyboards he plays the accordian. Not only does this mean up to date music, but you can also have traditional Scottish music too.